Home Cybersecurity Linux LinuxNews All Things you need to know about Qubes OS. "if you're serious abour security, @QubesOS is the best OS available today. It's what i use, and is free. Nobody does VM isolation better." This is nearly the end of the year 2018, and we all know that there are plenty of Linux distros out in the market. These distros are made for all kinds of purposes, For instances Kali Linux is a Gold OS for all the security enthusiasts/pentesters out there, likewise Ubuntu is a general purpose OS used mainly by the open source developers. We also have some Linux distros made exclusively for the server side functioning of the websites. 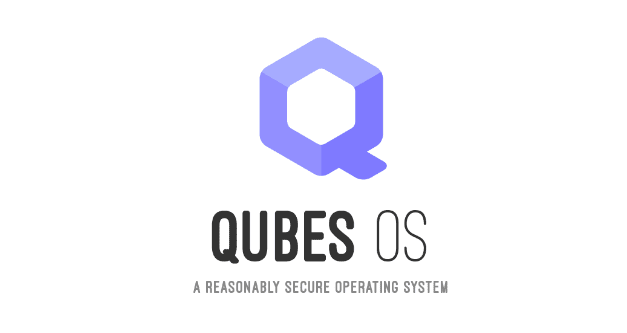 However in this article i will be discussing about one of the most secured (Qubes OS) out there and i am planning to review all the major secured Operating Systems out there which i feel have great security functionality in them. Those articles will be coming soon, so stay tuned! Qubes OS is a security focussed linux distro (which is based on Fedora), which is a free and open source operating system (FOSS). This OS got noticed in the securtiy community with its intresting tagline of “security by isolation” which literally means having more secured OS by compartmentalisation (more on this at the later part of this article). On 16th on February, 2014 Qubes OS was selected as the finalist of Access Innovation Prize which was hosted by Endpoint Security Solutions. However that prize was claimed by Tails (Read about Tails here), which was another security based OS. Qubes OS is developed by the Invisible Things Lab. And It was first released in September 3rd 2012. The isolation(compartmentalisation) method is meant to limit the software and hardware interactions. Thus it fosters security via isolation. This OS is meant for people for whom their online anonymity and security is of utmost importance. Now you may be thinking why to use an entirely different OS to resolve this purpose, we can just use VMware or perhaps Virtualbox. Well that approach is very tedious and that's presisely what is OS is trying to resolve, the "tedious" task it requires to achieve a total security. And thus this OS is for all the enthusiasts, tweekers and for someone for whom their security is their top most priority. How does Qubes OS provide security? Qubes OS provides security by an approach called security by compartmentalization. That allows the user to compartmentalize/virtualize various parts of your digital life into a more securely isolated compartments called qubes. This way of doing allows the user to keep the different things which the users does on the computer securely seperated from each other in isolated qubes so that one qube getting compromised won't affect the other qube(other compartment) in any extent. best example where using this OS can be very handy is when you use your one of the qube(compartment) for using all the untrusted websites and a different qube for using your online banking. That way if the user gets compromised by a malware-laded website on the untrusted browsing qube, your online banking/related to crypto or things which you are very serious about won't get affected/be at risk. In the similar manner the user can have a single-use disposable qube where the user can open all the emails. Which will save the user from the paranoia of getting hit by a cyber attack from a malicious email/ opening malicious attachment causing the user's whole of digital life taken down in one fell swoop. So right now there are two popular versions of this OS, 3.x and 4.x. Lets discuss the system requirements in each of them. TPM and proper BIOS support. Intel VT-d or AMD-Vi (which is required for the effective isolation of the network VMs). Fast SSD (very strongly recommended). Nvidia GPUs may require significamt troubleshooting. AMD GPUs have not been formally tested, but Radeons (RX580 and earlier) gemerally works really well. Intel VT-x or AMD-V (required for running HVM domains, such as Windows-based AppVMs). A non-USB keyboard or multiple USB controller. Qubes OS will undoubtedly require some special kind of laptops to be able to handle the software efficiently, I suggest Buying Purisim Librem laptops (i have'nt bought them/tried them, this is purely based on the research/knowledge i have gathered while researching on Qubes), or maybe as i have heard from a friend, lenovo laptops seems to work really well with Qubes OS, specifically the lenovo buissness laptops (Thinkpad T220/T430 or T230 to be precise). So if you've got those lying around, you get give it a shot! Here's a complete list of supported laptops as per their official site. Try Whonix, Tails and Open Whisper Systems . They are similar to Qubes, but some say these are easy to operate.